See the date – April fools! Thanks for reading! WORLD music lovers are set for a special treat – when Brexit is finally complete. A British Asian music promoter, who declined to be named, has told acv he is working on a special concert marking Brexit, called ‘Uniting the world, One Voice’. 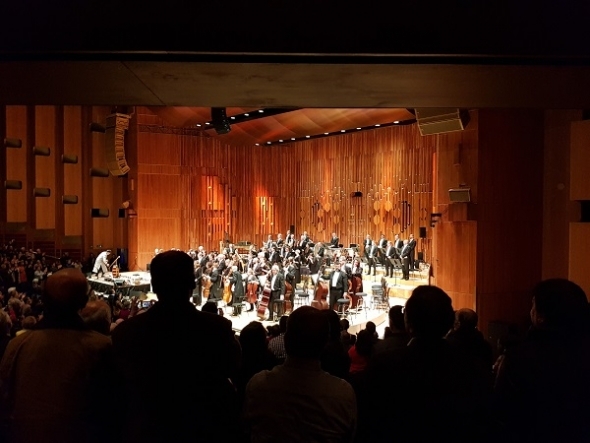 He insists it is not a celebration of Brexit, but a way of marking our new position in the world and sending out a message of friendship and optimism, amid much of the doom and gloom enveloping the arts world. “It’s a sad state of affairs. I am not a Brexit supporter, nor a die-hard Remainer,” said the promoter who has years of experience in organising concerts both for British artists, and bringing over many from the sub-continent. “I do not actually care very much whether we leave the EU or not. “What I do care about though, is our position in the world and the very negative messages we are sending to the rest of the world. “We must oppose racism and nationalism and all the ugly things that incite division and strife. He told acv he has very quietly approached a number of high-profile British musicians and a few household names from abroad with an Asian heritage. “It has to be international and not just British Asian musicians. “They like the idea – we need to say to the world, this is Britain and just because we have left the EU, it does not mean we are shutting down or closing our minds. ACV was tipped off on Friday (March 29) after the latest vote on a version of Prime Minister Theresa May’s deal with the EU failed to get through Parliament. No one can quite predict when Brexit will be complete, with both April 12 and May 22 currently in the frame (today), and a longer extension of remaining with the EU for a year or more is not impossible either. The promoter added: “I had hoped to secure commitments for the Autumn but with so much uncertainty, I really don’t know. He said once Brexit had been complete (and if it is) – he would talk to the musicians again and secure a date and a high-profile central London venue. “Don’t worry, acv will be the first to know,” he concluded.